Home > Working Freelance > Are You Financially Ready to Freelance? Leaving a job, not to mention a pay cheque that arrives like clockwork, requires a great deal of courage. But this decision can be made easier if you know that you are financially prepared to give up a salary or steady hourly wage. Many different opinions exist about what a potential freelancer's finances should look like before (s)he decides to freelance full time, but in reality each freelancer's situation will be different. To help you figure out if you are financially ready to freelance we've put together a questionnaire to assist you in focusing on your finances and business plans. Answer each question honestly and keep a tally of your "yes" and "no" answers in order to check the results below. 2. Do you have a savings that could cover at least three to six months worth of these expenditures? 3. Do you understand how much work you will need to complete each month for your freelance income to cover all of these expenditures? 4. Do you have a business plan for your freelance work? 5. Do you have at least one steady freelance client who pays promptly? 6. Do you have a business account set up with a bank and/or credit card company? 7. Do you have a plan for paying yourself from this business account? 8. Do you have a cash flow that could cover your expenses if freelance payments do not arrive promptly? 9. Do you have a good understanding of paying tax and NI contributions as a self-employed person? 10. 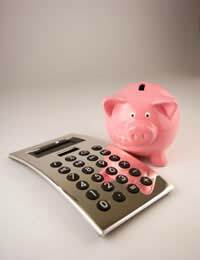 Do you have a savings plan in which you can store money set aside for taxes and NI contributions? 11. Have you investigated the start up costs of setting up a freelance office? 12. Have you networked with current freelancers and asked for their advice regarding freelancing and finances? If you can answer "yes" to at least four but up to seven of these questions then you may be ready to freelance part time. Test the freelancing waters with the safety net of another part time job and reevaluate your finances at regular intervals. When you can answer "yes" to more questions then you may be ready to make more of a career out of freelancing. If you can answer "yes" to at least eight of these questions then you may be ready to freelance full time. Consider investigating if you can take a leave from your job to do a trial run of freelancing for a month or more to see how you make out. When you feel ready confident in your ability to make a living and flourish as a freelancer consider going ahead and making the leap. Remember, freelancers can take on short term, contract and temp work too so even if your career does not progress as you hope there's no need to give it up entirely or feel as though you have failed.